Tourism groups in B.C. 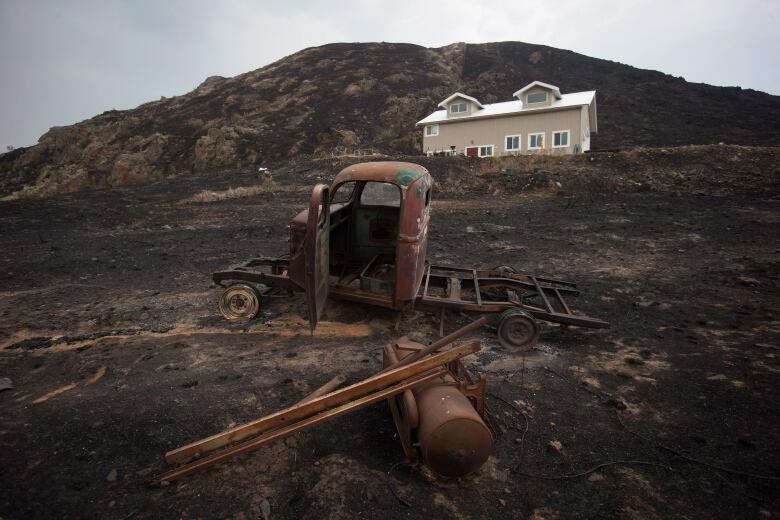 are asking the province's neighbours to stick with their vacation plans, adding it's an opportunity help businesses recover from the devastating wildfire situation. Dear Albertans: Please don't cancel your B.C. summer vacation because of the wildfires, but proceed with caution. That's the message tourism-related businesses, which are mostly small businesses, want their neighbours to the east to hear this summer. "Our hearts are with those that are impacted, and our priority is to ensure that people are safe and know where to find information," Maya Lange of Destination B.C. told The Calgary Eyeopener this week. But B.C. is still very much open for business, she adds. "We encourage visitors and those with travel plans to check out the map of B.C. 's current wildfires on the B.C. government wildfire website and the driving route restrictions on DriveBC.com and adapt their plans." There are a number of websites that maintain up-to-date information to help tourists navigate around the hot spots safely. The main B.C. government website has detailed information on wildfire locations and evacuations, Drive BC has a route-planning function, Destination British Columbia has a complete list of visitor centres across the province and B.C. Parks lists provincial park closures. "Those that have travels plans already can contact their accommodation provider or the attraction or experience they were planning and just get the information to understand if the area is impacted at all," Lange explained. She says helping wildfire evacuees and supporting local businesses are two separate issues. "B.C. is a very large province and we are taking good care of our evacuees. There have been centres opened up all around the province to distribute to those that need help but this is also about the livelihoods of those that are in unimpacted areas. Eighty per cent of the tourism operators in the province are small businesses and we want to encourage and support them to have a viable business," Lange said. "No need to feel guilty, in fact the opposite. It's an opportunity to do your part to help businesses recover from the situation."